Manufacturers want to know, how do we stack up in a difficult labor market competing for qualified workers? Are our benefits good enough? Are we paying the right percentage of the premium? The average employer/employee cost share for a manufacturer in the Midwest is roughly 75/25. Breaking it down with data from The U.S. Bureau of Labor Statistics, the cost of wages per hour worked has grown by an average of $4.51 in the last eight years. Further, the BLS reports the total benefits cost per hour worked — including both employer and employee contributions — has grown by an average of $2.77 since 2010. Let’s couple these government statistics with data from independent actuary and consultant, Milliman, for a closer look at how to be competitive in this space. The firm finds employees contribute to the cost of their benefits with an average of 27% of their wages in payroll deductions. Employers, Milliman says, contribute 56%. Using this data, the chart below shows the approximate benefits cost manufacturing employees pay per hour worked. Note that this does not include the additional 17% in out-of-pocket expenses employees are forking over. While these numbers provide some benchmarking perspective, if you’re a manufacturer looking to ensure your benefits are competitive in order to ease the pain of having positions remain empty, you need to take a look at how well you’re managing your health care supply chain. 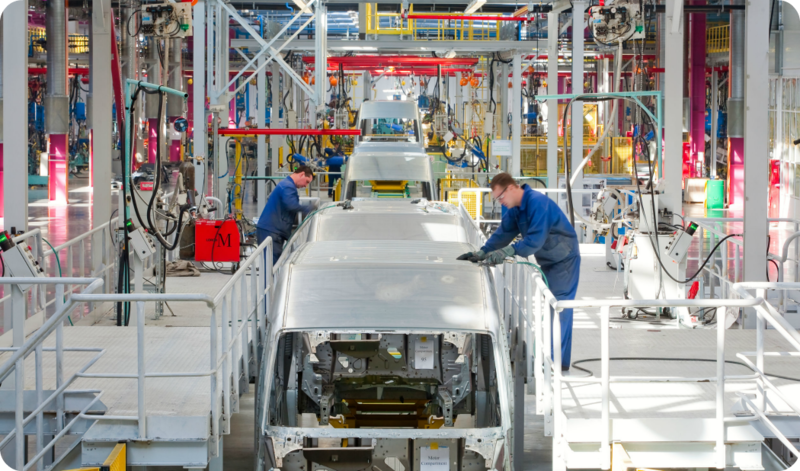 To fall in the high range of these manufacturing labor statistics and be among the most competitive employers, take a look at how you’re managing the 80% of annual plan costs that are variable. Milliman has studied how employers spend money under any form of benefit plan. What they found was, 20% of the plan cost is a fixed expense, such as plan administration fees or stop loss premiums. The other 80% is variable. It changes depending on what services your employees are getting, where those services are being performed, and what kind of claims you are amassing. Focusing on these four areas will have the greatest impact on plan costs. Lowering the overall cost of your benefits means you can become more competitive by paying a higher percentage of employee benefit costs. Or increase wages. Or both.